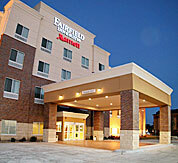 At Fairfield Inn by Marriott®, your hotel experience will be what you expect – a clean, comfortable guest room and friendly service. 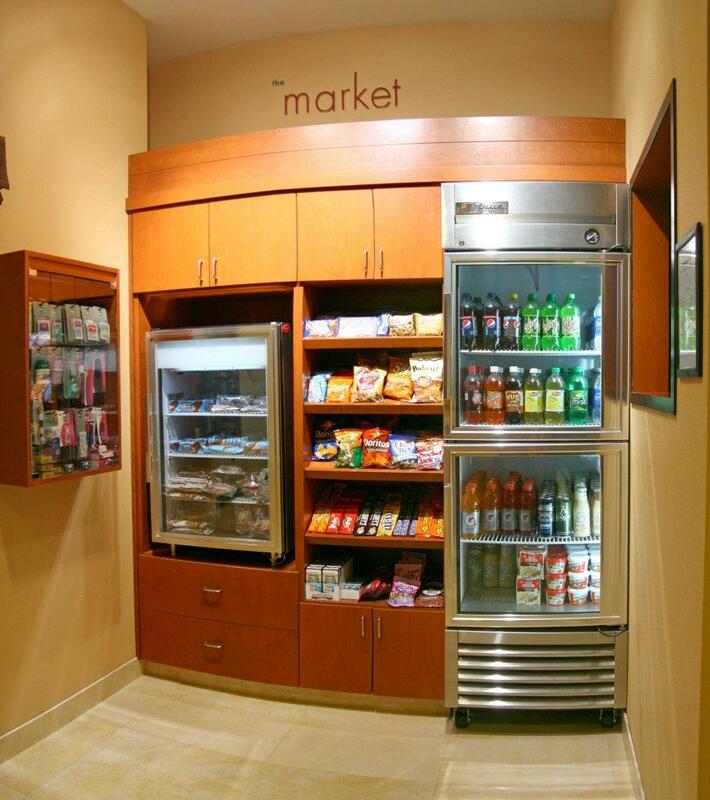 Take advantage of our complimentary amenities, including hot breakfast buffet (featuring scrambled eggs, sausage, biscuits & gravy, waffles, fresh fruit, coffee juice & more), fountain soda machine, in-room high-speed Internet and Wi-Fi in the lobby. 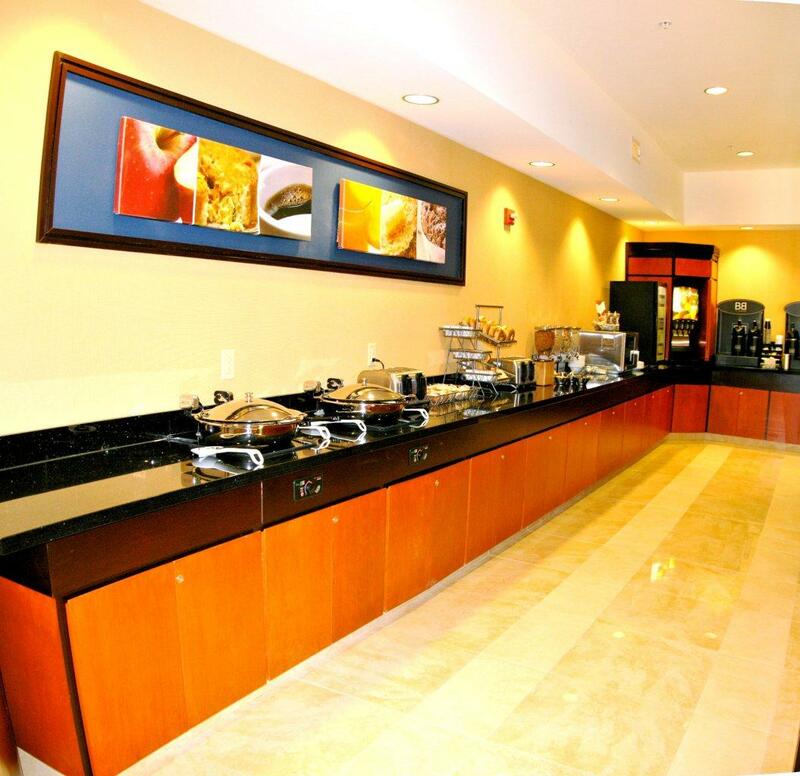 The Managers Reception, held Monday through Thursday includes complimentary beer, wine and hors d’oeuvres for all guests. If you would rather relax in your room, enjoy our 200+ DVD movie library, FREE. 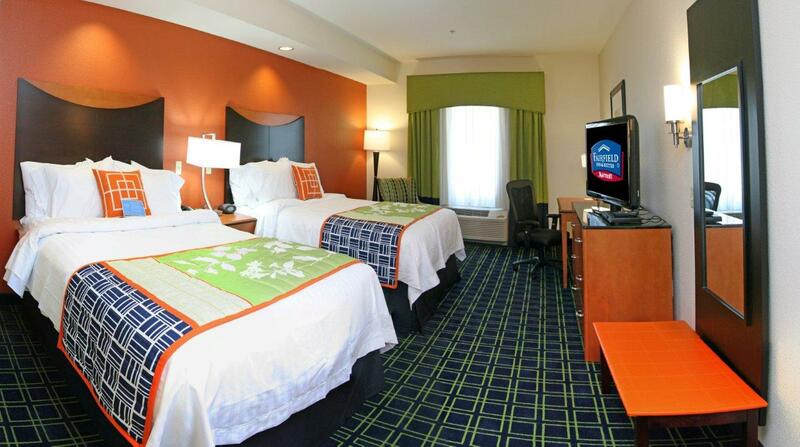 Our spacious guest rooms, all offer either a king or 2 queen size beds that allow you to comfortably work and relax. 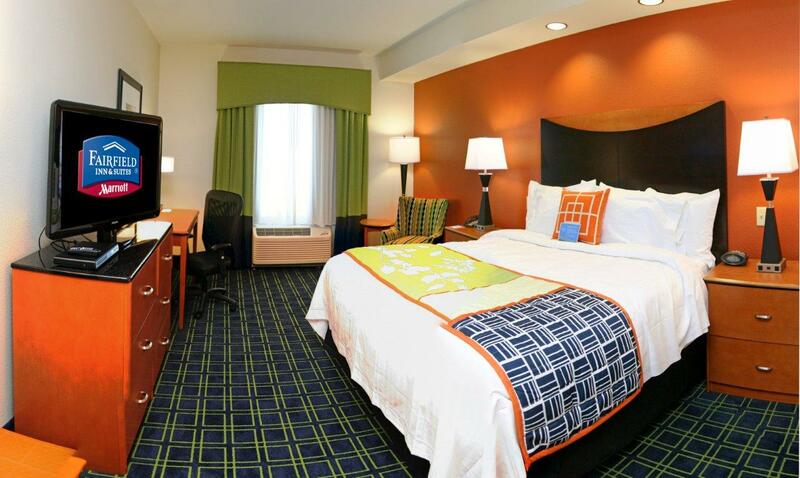 Our plush mattresses and fluffy pillows ensure that you’ll get the relaxing night’s sleep you deserve. 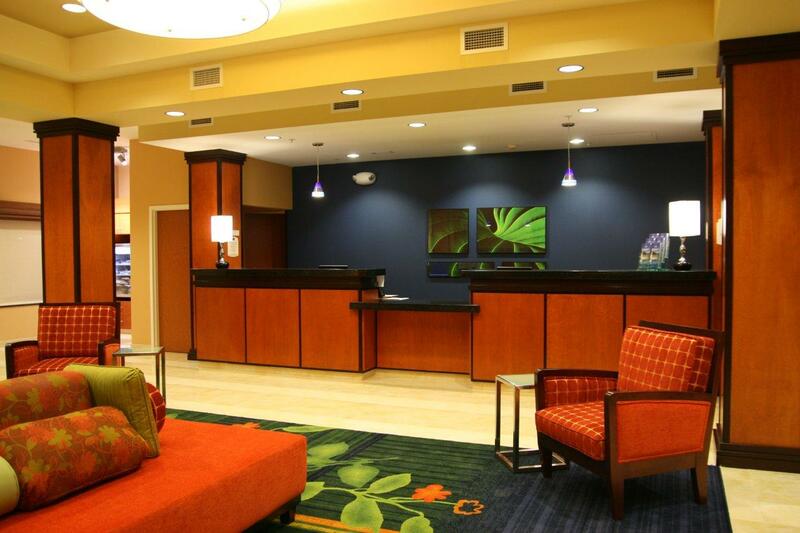 The on-site fitness center is a great place to get a quick workout in when you’re away from home. 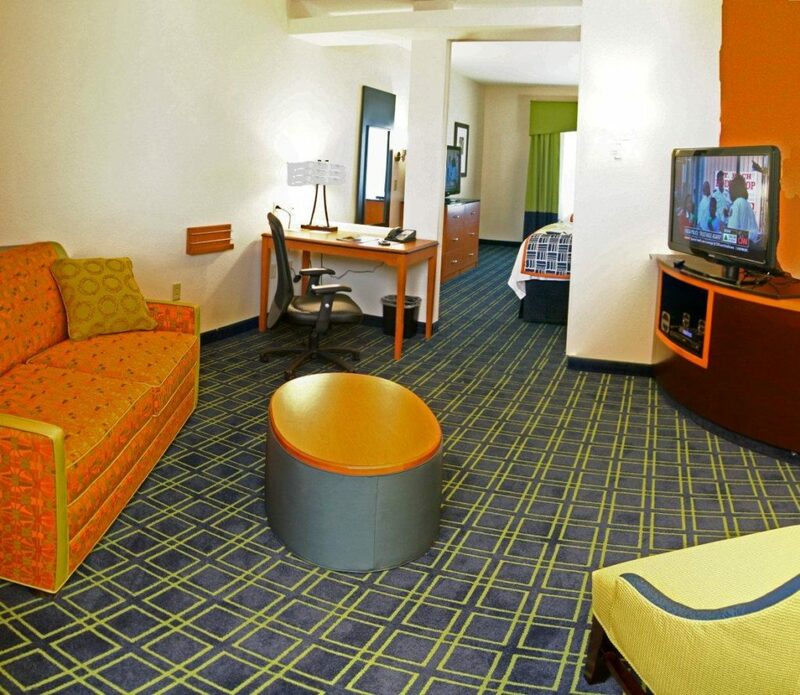 The indoor pool and hot tub are a great way for families and individuals alike to unwind, relax and get refreshed. A night under the stars is the perfect way to wind your day down. 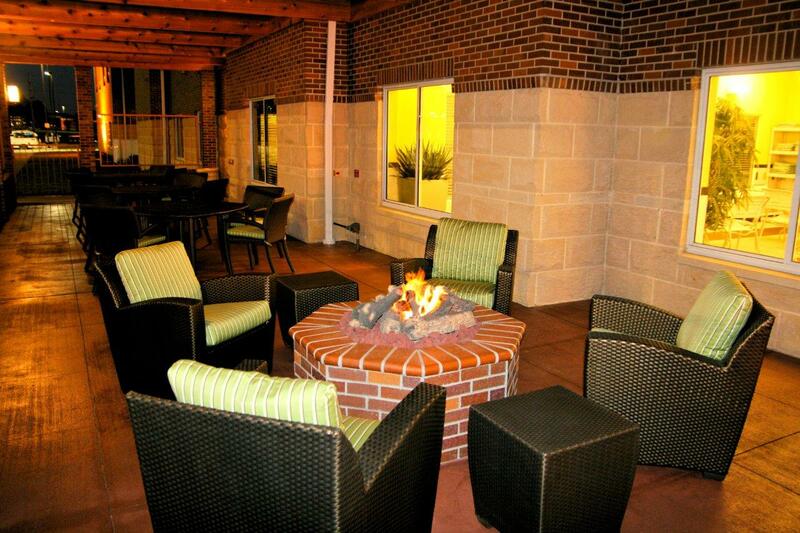 You’ll be able to do so at our outdoor patio and fire pit. 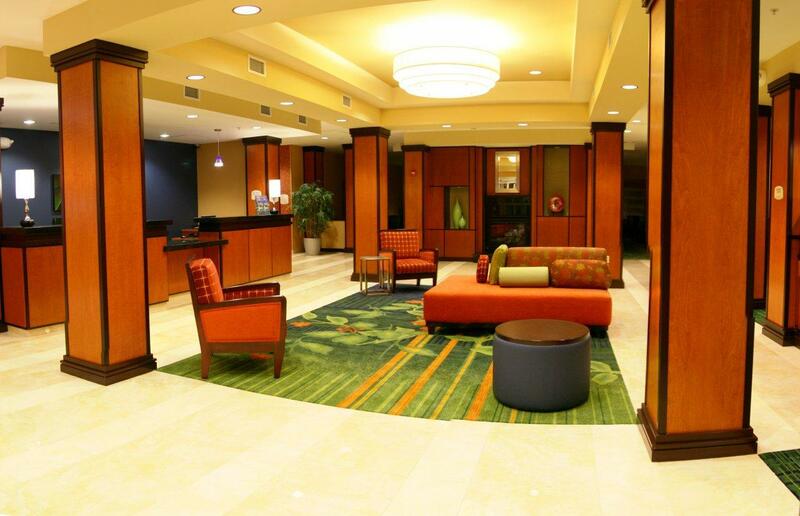 The hotel features over 1700 square feet of meeting room space. Meeting rooms include a sound system with built-in projectors and screens as well as a complete business center with 2 computers. Great dining options are never more than a short walk away with Buffalo Wild Wings, Olive Garden, Texas Roadhouse, Panda Express & Ruby Tuesday’s all conveniently located nearby. 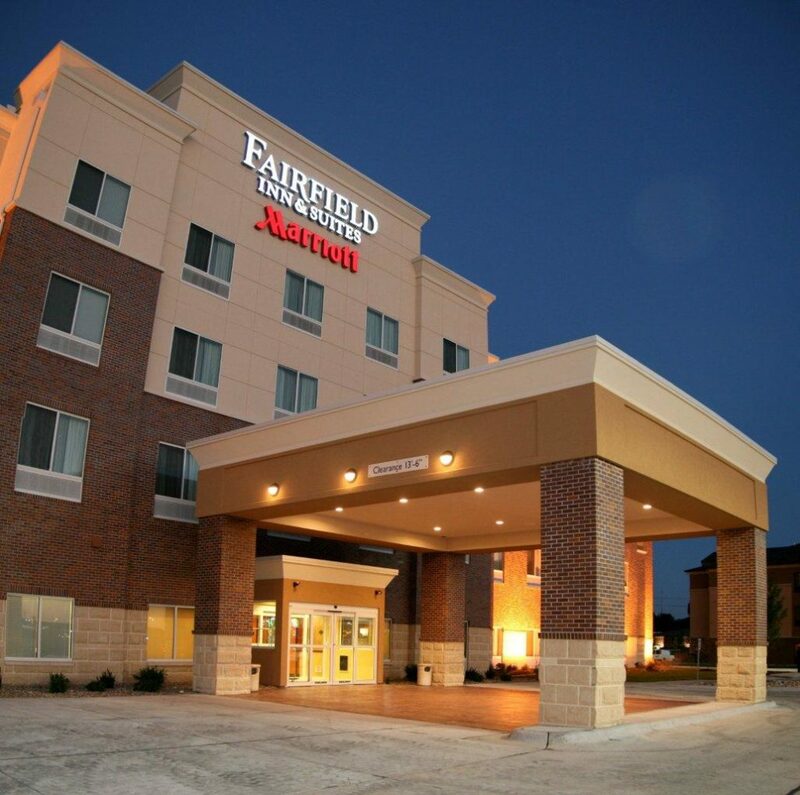 With convenient I-80 access less than 10 minutes away from our Fairfield Inn & Suites, getting to and from your destination in Grand Island is a breeze. 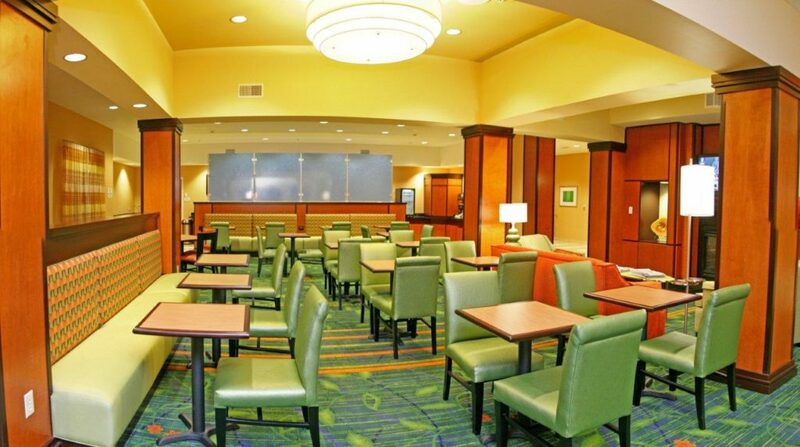 We are located within walking distance of great dining options such as Olive Garden, Panda Express, Ruby Tuesdays & Buffalo Wild Wings. Local attractions include Nebraska State Fair Park, Heartland Event Center, Fonner Park & Raceway, Stuhr Museum, Island Oasis Water Park, Central Nebraska Regional Airport and many great retail shopping locations.